The Centre of Innovative Craftsmenship Water focusses on educating employees and scolars on an vocational level (mbo in Dutch) in the field of “Water”. We are working together with educational institutes like MBO Life Sciences as well as with mostly semi-governmental organisations such as Wetterskip Fryslân and Vitens. Our aim is to contribute to the development of excellent waterprofessionals, not only in the region of Fryslân, but also on an (inter)national level. Tip: Turn on the English subtitles. We do so by organizing innovative courses for professionals together with our partners. Knowledge from these professionals form the basis in our approach; professionals share knowledge by educating each other. These new insights are used in our regular intermediate vocational education. - An exchange of knowledge between professionals and teachers, bij sharing didactical, theoretical and practical knowledge. 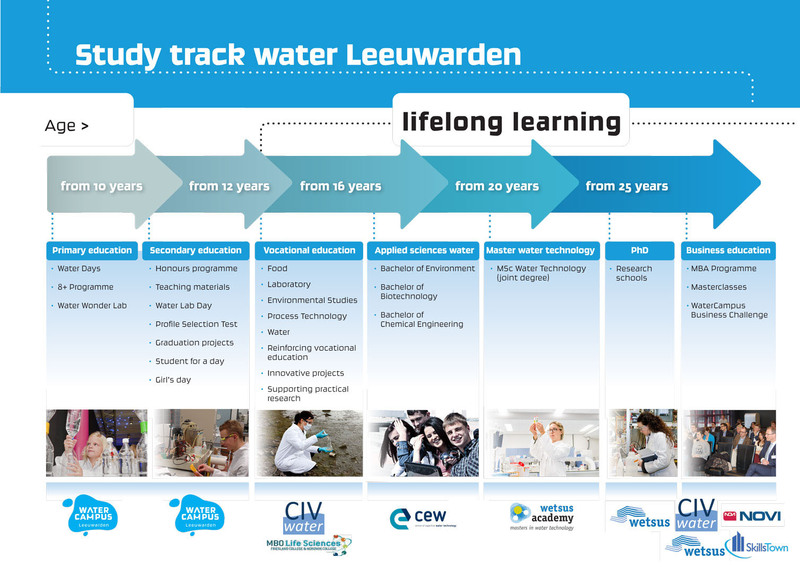 CIV Water thinks life long learning is important. 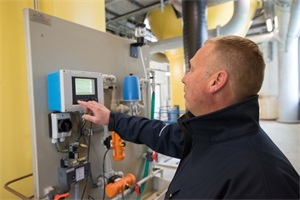 - WaterCampus: CEW, Water Alliance, Wetsus.